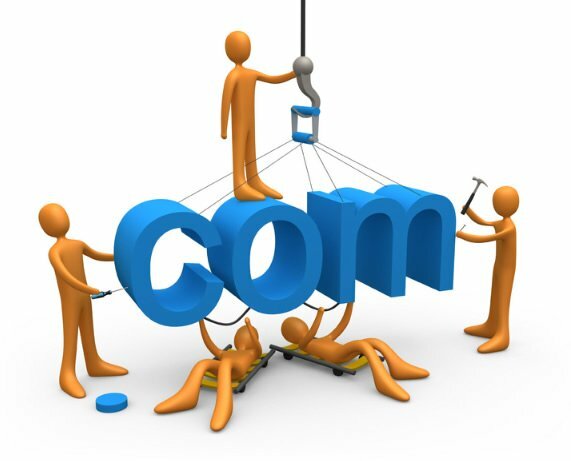 Your Website Design: Hurting or Helping Your Online Presence? When it comes to an online presence, there’s a lot of debate over what’s more important in a company website: design or content? There are vocal supporters on both sides of the argument, and both sides have valid points, but is there a definitive answer? Online marketing is the process of driving clients to your website, usually through SEO, PPC, and content creation, with the intent of converting them to paying customers. The ideal website should inform and engage users, and drive them to a conversion point such as a landing page or contact form, where they would either make a purchase or provide you with contact information. But content alone isn’t enough, you have to consider whether or not it’s easy to navigate and to get to the information you want. Remember that there are dozens of other companies out there waiting to offer a better experience if yours isn’t so great, so it pays to invest in a good design. After all, it’d be a waste if you’re number one on the Google search results page only for visitors to be scared off by bad design. As the internet has grown over the years, a sort of a “visual language” has evolved with it. This language has come to be spoken and understood by pretty much every internet-savvy user, whether they’re aware of it or not. When people arrive at a website they, sometimes instinctively, expect it to follow a certain layout and format. For example, menus are often found at the top of the page, either above or below the company, with navigation maps on the left or right side, and the main content in between the two. This is pretty much how 80% of all websites that aren’t showpieces are structured, and although it seems overused to the point it’s cliched, it’s actually an ideal format for ensuring that users won’t get confused or lost. If users can’t navigate their way through your website, then they may never be able to see the content you’ve made. One of the first things that people look at when they land on a webpage is the “About” section. This helps potential customers identify who you are, what your scope of business is, and is generally the best opportunity to a make a good first impression on them. All too often this page is neglected, and sometimes even left out to the detriment of the business itself. Remember that first impressions are lasting ones, and a good “about” page is just as crucial to selling your product or service as the actual landing page content is. This may come as a surprise to some, but flashy, complex websites loaded with Flash animations and large images are not necessarily good websites. Consider that only 40% of US residents have access to some kind of broadband connection, and that dial-up internet is still widely used around the world. The more complex the art assets, the longer it will take for a page to load, and that load time will only be exacerbated by the speed of your visitors’ internet connections. So is design or content more important when it comes to making a website suitable for inbound marketing purposes? Rather than arguing over the merits of either a design- or content-oriented approach, I’d go out on a limb and say that both are important, and that the two should support one another: good content will drive your customers to your website, and good design will help convert them.